I’ve made some corrections to this since the first version went out to the Black press yesterday. 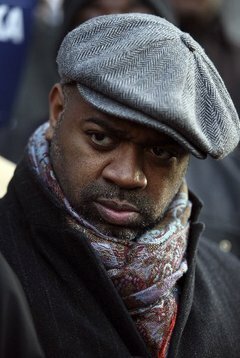 SOUTH ORANGE, N.J. – History keeps colliding with the present as Ras Baraka, a Newark city councilperson and city school principal, is exactly one week away from finding out if he will become mayor of Newark, New Jersey’s largest city. In a press conference in front of his campaign headquarters Tuesday, Baraka accused his opponent, Seton Hall University Law School professor Shavar Jeffries, of openly being supported by outsiders who are attempting to buy the Newark election. He spent a lot of time talking about Newark First, an independent group that has poured almost $2 million into Jeffries’ coffers. Newark First, charged Baraka, is aligned with Education Reform Now, a group out of New York City that pushes for the creation of charter schools. Much of this election is based on who is going to control education in the city. Since 1995, the state has controlled the Newark school district, and New Jersey Gov. Chris Christie’s appointed Newark superintendent, Cami Anderson, is, like Christie, much maligned here. The press conference came hours after Jeffries, standing in front of Newark City Hall, accused Baraka of accepting $4,400 in “pay to play” campaign contributions from companies in no-bid contracts with the city over the past two years. Baraka denied the charges in a newspaper interview and at the press conference Tuesday, saying that the contributions were well within the city’s executive order and that those who donated, according to the law, can’t do business in the city for a year. I first thought he meant Steve Adubato Jr., an influential local broadcaster, as the major power broker in Essex County, the county of which Newark is its political hub. But a friend of mine quickly corrected me: He meant Steve Adubato Sr., a major Newark power broker who was instrumental in stopping a man by the name of Amiri Baraka—the leader of the city’s Black power and arts movements and a major, national figure—from building Kawaida Towers, an African-centered cultural center and apartment complex in Newark. The elder Baraka was stymied by the unions, Adubato Sr.’s machine and the Mafia. (Before Mayor Kenneth Gibson became the first Black mayor of Newark in 1970, the Mafia openly controlled the city.) Baraka’s political movement put Gibson in office, but as far as Kawaida Towers was concerned, Gibson’s hands were tied, Black elected city officials chose sides, and Baraka’s plans and movement fizzled. Is history trying to at least rhyme, if not outright repeat itself? It seems so. The surnames remain the same, and maybe not just that. Amiri Baraka died in January of this year. His legacy is his children. The Newark mayoral election determines who will have disproportionate power in Essex County, which means the mayor will have influence in how the county will lean in state races, including the one that will replace Christie. Newark may be a post-Black Power city in 2014, but red, black and green scraps remain amid the street debris. A large amount of people in the city are poor, and many are under-educated, but they are not stupid. They know who stands for, and against, them. 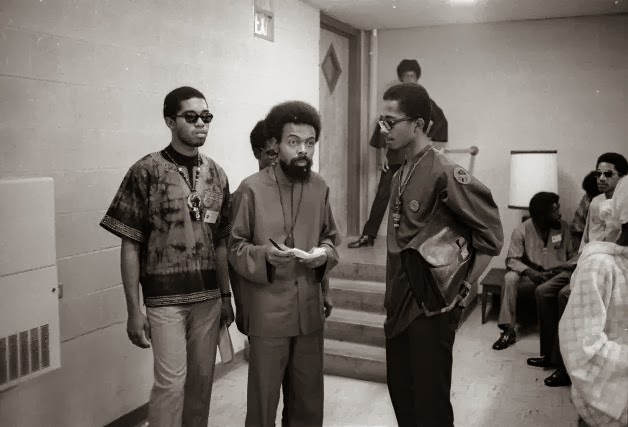 Pingback: Amiri Baraka’s Son Becomes Mayor of Newark, New Jersey By Earning It | iMiXWHATiLiKE! Pingback: Amiri Baraka’s Son Becomes Mayor of Newark, New Jersey By Earning It - iMiXWHATiLiKE!